I have to retract my statement slightly. There are a few too many perfectly placed 30 yard screamers, which seem unlikely whether a player is properly defended or not. But I still think long-range accuracy only needs a slight tweak. The defending is more of an issue. Goalkeeping could stand to be improved as well. Sometimes these shots come from so far away and it seems like the keeper has plenty of time to react, and they just ... don't. The bothersome thing about all the long shot goals is that they further divorce chance creation from actually winning. I just lost a match 4-0 to a team that created 1 chance, which was a penalty. The other 3 goals were long shots. I'm sorry, but are you assuming SI don't test their game "thoroughly﻿" before they release it? I think you'll find through reading back on some recent posts in this thread that this is quite simply incorrect. And as has been explained before numerous times before, switching to a bi-annual release schedule would be disastrous for SI, so that is a non-starter. If so why is the game like this? games that have issues these days are usually boycotted. The thing is with FM they can correct it, how did they make the game from the beta so different from its first major patch? you could say i'm assuming but the proof is there to be seen regardless of who's fault it is. Of course, twice a year would mean they'd have to rush but if you mean "biennial" as in once every 2 years then it could be very hard as the mod said. In which case having a year to add new things, test it- make sure its working individually- then test the overall impact, then tweak things before it comes out to make sure most things are fine much like they did before 18. I mean, they have quite recently, and by that I mean yesterday mentioned that it's impossible to try and put time frames on things, but they do intend on trying update the beta. I guess it was the best thing possible at the time but don't you think the forums is the only way to give feedback and report the bugs? cause before not knowing about the forums you'd be stuck to decide what to do, for example players wanting contracts/ not having enough game time has been an issue for many years and I just let it go until I found the forum. How much of a minority is the forums if there is such a stat that has been collected? I agree on that but they tend to follow the trend of hitting December then march for big updates. It's the 2021/22 season, just before the Xmas fixtures, and Jurgen Klopp is (well, was) managing Liverpool sat 2nd in the League behind a Luis Enrique managed Chelsea. In the previous seasons he's won the league twice, league cup twice, FA cup twice, World Club Championship - you get the picture. So he's now moved on - "Where to?" I hear you say ... "Barcelona? ", "Bayern? ", "Paris SG?". No, none of those. Klopp has just left all-conquering Liverpool to join Spurs. Spurs are currently 20 points behind Liverpool in 10th. 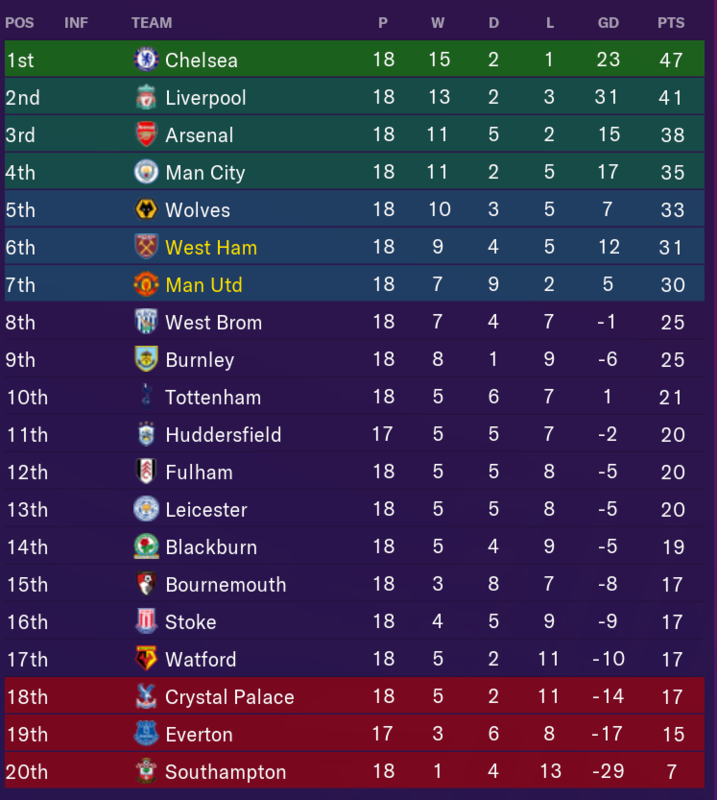 Note about Man Utd being (mis-)managed by me as well as West Ham - done to force Mourinho out. Temp manager to retire as soon as Mou get another club. Thanks for correcting me; I always get "biennial" and "bi-annual" mixed up. Now I guess I'll have to correct you, because it's "whose fault", not "who's fault". About the first paragraph, though... games that are 'boycotted' usually have far, FAR more serious issues than those that are present in FM19. I'll give you two words: Electronic Arts. Yeah I had something similar. Pochettino was sacked by Spurs because he "only" finished 3rd in 2020. Guess who they brought in? Allegri from Real Madrid who were leading LaLiga at the time and won multiple titles. If I remember correctly Spurs won the PL once in 2019, that's it. They just snatched him up, no issues. Every year England gets completely overrated in so many areas. You can tell the clear bias by just looking through the England National youth teams. Almost every player in U20, U21, U19 is touted as Wonderkid or at least has huge potential and outdo the likes of Brazil, Argentina, Italy, Spain and France. Same story every year. Or perhaps this latest generation of English youngsters really could achieve great things. It wasn't very long ago that England were the defending U20 World Cup, U17 World Cup and U19 European champions. I'm not saying they should be bad, not at all. They should be there or thereabouts. But they vastly outdo every other nation on my saves. How many leagues do you have loaded? At least with a change of league you can rationalise it as 'wanting a new challenge'. but to drop from a CL team to mid-table nobodies (as Spurs currently are in my game) reveals something odd going on in the logic governing managerial appointments. I have a feeling Mou will get appointed to Liverpool now, which would feel like things being shuffled to get top reputation manager at top achieving club. Note Klopp left voluntarily; he wan't sacked. Makes no sense whatsoever. 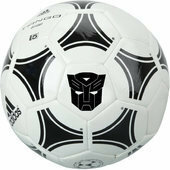 About 30 (including all top leagues of Europe, South America, North America, Australia and some Asian). On the topic of managerial moves, I've seen some odd ones too. After the third season of my Fiorentina save, Jürgen Klopp left Liverpool to take over at Bayern, which was perhaps strange enough, considering his Dortmund links. Unai Emery then left Arsenal (4th in PL, qualified for Champions League) for Liverpool (5th in PL, qualified for Europa League). The occasional manager-swapping that's been in FM for years is also present and correct in FM19. I can't remember off the top of my head which teams and managers were involved (I'll have to trawl through some of my blog posts to find that). But I just find it irritating when Team X sacks Manager A, brings in Manager B from Team Y, and then Team Y appoints Manager A. How often does that happen in real-life? EDIT: Ah, I've just remembered. Chelsea sacked Zinedine Zidane, and then brought in Didier Deschamps from Valencia, who appointed Zidane to replace him. Please rise this issue in this topic. This is very similar to what we are discussing there. Also can you upload this save there? I agreed that England overrated . Especially Arsenal which win EPL and ChL in first season in FM17 and EPL in FM18. IRL Arsenal was in EL zone both times. Also Spanish clubs dominate in Europe, but in last FMs its England. As I know already Italy overtook England in UEFA rating, but who cares? Even he wants to move, its be better AFTER last matchday isn't? Have added my info to the thread. Looks like it may relate to why you are seeing unplaceable managers later in the game. 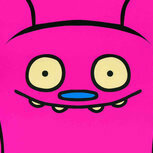 Suggests to me another behaviour that can be laid at the door of the reputation system. Thankfully, I was wrong about Mou to Liverpool. Will have to see where he ends up, or if he end up on @Novem9's managerial scrapheap. 1.Playing with Foreground chairman is there a chance he will leave or stop giving money to the club ? For example with smaller teams like Lausanne,Leiria, Larne ? 2. How Underwriter works? If I will increasing my wages over and over he will cover the loss that club makes ? Regarding the long shots everyone seems to be suffering from, could you also provide this screenshot to compare? Because I really fail to see the problem. Out of my last 50 games, I scored 100 goals from inside the box, 29 from outside and 3 really long range screamers. So that means more than three out of four goals are being scored from inside the sixteen yard box. That seems like a very reasonable statistic. I do. Very balanced out between the two flanks and the centre. The more I play the more the long shots are bothering me. It's not uncommon to see 3 goals blasted past my keeper from 20+ yards despite the opposition creating 0 chances. How do people deal with this tactically? Higher defensive line? OIs? I already have closing down set to "extremely urgent". And you can’t see how this would be an issue? This year I've already been forced to sell my three best players after the board intervened, first one I was allowed to protest but after that, nothing. 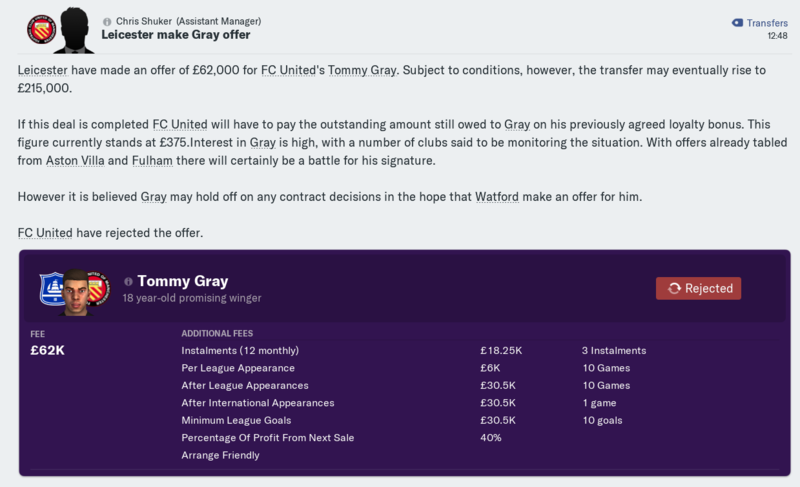 My contract expires at the end of the season and my board are repeatedly asking me to discuss a new contract or offering to discuss things with me to fend off interest (getting a lot of job offers too, which is nice). Nowhere in these discussions can I explain to them that I'm annoyed about the sales (jokingly annoyed - part and parcel of managing at this level) and can we negotiate that they won't intervene for a season etc? Or now we have the few million in the bank that we're good? Or even allow the board to explain why the second and third player sales were sanctioned without me even being consulted etc - you get the drift. 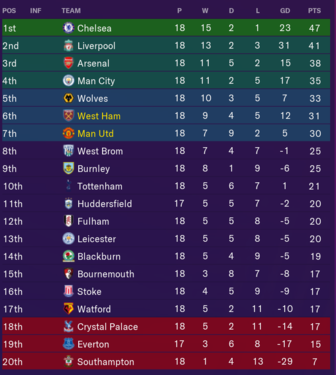 Fast forward to present day, last day of the January transfer window, I'm flying high in 1st, 9 points clear (England's League One). 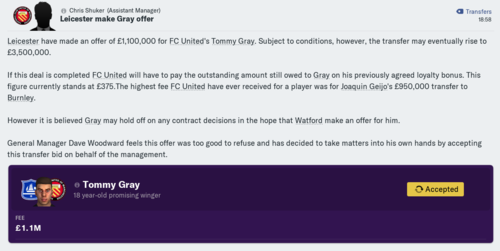 I couldn't get one of my better players to agree to a new contract so annoyingly a prem team triggers his release fee so he can go and rot in their reserves - not the end of the world as even though my coaches/fans/board love him I hated his awful passing stat and 500k is not to be sniffed at for a team of my size! With that money gobbled up, we're now 'doing a smaug' and sitting on a few million, money has already been deducted for the improvements I demanded close season following the sales, so long story short, financially we're in a good position. Not bad for an 18 year old kid but we've sold enough players this year, have lots of money in the bank and my coaches rate this guy so no thanks. Even the player himself isn't that interested as he's happy and only signed a new contract in November having broken into the first team. 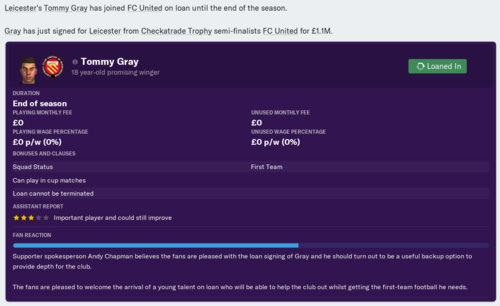 It's even more hilarious given I made a cheeky loan offer immediately after he signed and they accepted with 0 wage contributions. He wasn't a big earner but means my squad is effectively intact with money in the bank and a lower wage bill. 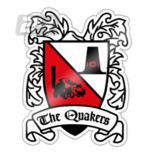 Just some thoughts - these sort of stories are why i love long careers/lower league stuff, just slightly frustrating when you get blindsided by stuff that stretches your disbelief a bit too far! This is really a great example how skewed our perception is. So, according to @KlaaZ, 32 goals from outside of the box out of 132 goals scored (24%) is apparently a realistic result. It might seem so if you go by your gut feeling as you tend to remember those screamers since they are usually memorable goals. However, if you actually cross check with reality, you will find out that 24% of long shot goals is almost double of what actually happens in real. Last season in Premier league there was a total of 1018 goals scored. Only 138 of these goals came from outside the box, which is 13,5% compared to 24% that "feels realistic". Since overall number of goals is largely in line with real stats (is it? anyone checked that, or does it just "feel right"? ), this doesn't only mean that there is double the numbers of long shots that go in, but also that the ME lacks a significant number of goals scored from inside the box. To add Ajax stats. So far this season they played 32 games in all competitions (including friendlies). They scored a total of 98 goals of which 13 were from outside the box (13,2%). I know this forum too well - If the guy said he had pressing set to low, he'd probably get the same criticism! All my testing of different setting combinations leads me to be of the opinion that pressing is flawed. The opposition can cross your line of engagement and be way inside your 'hot zone' (I stole that phrase from your excellent pressing lines video) - but the problem is your players simply don't engage. There is a massive problem with full backs retreating to guard harmless space out wide when the threat is blatantly central. (even when defensive shape not set to wide). This leaves IFs with all the time and space in the world to cut inside and run at your defence. When your DMs engage, they end up funneling the opposition on to a) their stronger foot, and b) into the most dangerous space outside the area. All this with specific OIs telling them to do the exact opposite. Although I have just lost a Champions League game to a 30 yard screamer in the 94th minute; so I'm not in the best place right now. Easy mistakes but gg on the comeback lol. I couldn't think of a less meaningful word apart from "boycotted" so i went with it. True, but the way they're making mistake after mistake even if it's unintentional which It very likely is doesn't help. I mean EA have a very good system- bring the same game out time and time again and it works a treat even if people stop buying it lol. I said the statistic is reasonable, not that it is perfect and faultless. Everyone knows that there is a problem with striker movement atm, which will lead to more goals from outside the box. I'm just pointing out that the problem is being gravely exaggerated by some people. I also take into account that I am in my fifth season with Ajax, won the CL two times and have a world class reputation now, so domestic teams will be extremely defensive against me. This will also result in more goals from further out as there will be less space in the box but more to shoot from distance. Is the game faultless? No, it never is and it never will be, and there is still room for improvement. Is it unplayable? I don't believe it is. i guess I got wrong impression due to the bolded part then. Could've worded that better, true. No, considering the majority of the long shot goals I concede appear to come from defenders not closing down quickly enough. I see a lot of cases of defenders giving attackers a ton of space to shoot. This one is going to vary so much based on the tactics used, though. Plus, you are comparing league wide statistics versus one team, which is not a fair comparison. You would really need to look a the spread across all teams. Some will score more than the average, some less. Then you can compare if this 24% is really an outlier (hell, you could do it statistically to show if it is not not). I cannot say either way, but it is misleading to compare numbers out of context like this too. I have noticed a lot of goals from longer range this season, particularly from the edge of the box. I did not look at whether it is more than expected. The way my team is set up also has midfielders arriving late to the box for such pullbacks or to pounce on rebounds, which means they often have very good chances. I do not seem to concede these type of goals too often, but then again I always set up with conceding as little as possible in mind. Here, again, you can see how user tactics can cause huge variation. Your midfield closing down like demons and losing shape, for instance, would leave a load of space for players to run and hit long shots. Plus many other factors. Someone needs to look at the statistics for the entire league over an entire season (especially AI teams) to see if there is a real issue here. it is misleading to compare﻿﻿ ﻿numb﻿e﻿rs﻿﻿﻿﻿﻿﻿﻿﻿﻿﻿﻿﻿﻿﻿﻿﻿﻿﻿ ﻿﻿﻿o﻿ut﻿﻿﻿﻿﻿﻿﻿﻿﻿﻿﻿﻿﻿﻿﻿ ﻿﻿﻿﻿of﻿﻿﻿﻿﻿ ﻿﻿﻿﻿context﻿﻿﻿﻿﻿﻿﻿﻿﻿﻿﻿﻿﻿﻿﻿﻿﻿﻿﻿﻿﻿﻿﻿﻿﻿﻿﻿﻿﻿﻿ like﻿﻿﻿ this﻿﻿﻿﻿﻿﻿﻿﻿ too﻿﻿﻿﻿﻿. So, these are the numbers over 5 seasons. Someone with more knowledge about stats should interpret this. All I can say is that in five years only Stoke City, of all teams, managed to (consistently) get remotely close to Ajax example from the game. I absolutely don't claim that this has any significance, however, it is indicative and it would be interesting if someone could pick 5 year stats from the game. Unfortunatelly, I have only demo installed. PS 2013/2014 season was absolutely bonkers with long shots. Wonderful, this is what I like to see. Data, rather than anecdote. Kudos for actually doing this. Looking at this, we have averages in real life of 14.3 with a standard error (1sigma) of 0.83. For the FM numbers, an average of 17.5 with a standard error of 1.6. That would appear to be significant, but it is actually not really obvious that these numbers belong to the normal distribution (they probably should), so you cannot really apply many statistical tests of significance to them. What I will note is that while the mean values are somewhat similar, there is so much more spread in the FM data. This could be because there is a real difference, or it could be because it are fewer data points in the FM test. I recently did a really long test for a database edit of Africa I am doing, so if these data are easy to extract, I should be able to look at this with a much larger dataset. Anyway, it does seem that there are more long goals than should be expected, and especially the spread of the data is really high compare to real life. Pretty sure I've said elsewhere that long shot goals in 19.2.1 are a tiny bit too high, but despite this, the number of goals per game is nearly perfect. In an ideal world we'll be able to reduce the number of long shot goals, but not at the expense of shooting accuracy or goals per game. It is something we're looking into but is a very delicate balancing act. You know everything happening in the ME code, and none of us do, that's for sure. However, your conclusion is concerning for me, because after watching countless goals in AI vs AI matches myself, the MAJORITY, not tiny bit, of goals are happening one of these 3 ways: free kicks and corners, crosses, long shots, INCLUDING those that are just outside the box (and maybe you don't count those as long shots). Based on my observations there is nothing wrong with the accuracy of shots. The issue is clearly about what the AI defenses allow the opponents to do. Just like in basketball, you can choose to pack the line and make your opponent beat you with 3 point shots all game. The offense takes what the defense allows. In current ME, the defenses just pack inside (which is fine), but don't even try coming out to close down an opponent who is about to take a wide open shot from just outside the area. I have no idea what tweaks you guys have been testing all this time, since nothing got released to the public BETA for a very long time, but I sure hope you try tweaking the defensive AI a 'tiny bit' too and see how that works, instead of messing with the shot accuracy, which would probably have a massive knock on. This is the greatest ME of all time according to one SI employee. I wouldn’t be expecting any huge changes. They don’t seem to consider numerous huge flaws to be huge flaws. To be honest, when I watched the first few matches with the latest build, I also thought this was the best ME. Outside of how goals happen, it just looks and feels great. But how the defenses pack the inside and insist on not stepping up to a guy who is about to blast a wide open shot from 18-20 yards is just killing this game for me. It has a similar effect on the crosses too. At the end, no matter what style a team wants to play, the goals happen the same way. Every once in a while (maybe 1 match out of 9 every week in a given league) you have two teams with very similar strength playing, and the ME is a beauty to watch then. I see a nice and healthy variety of goals in those matches. 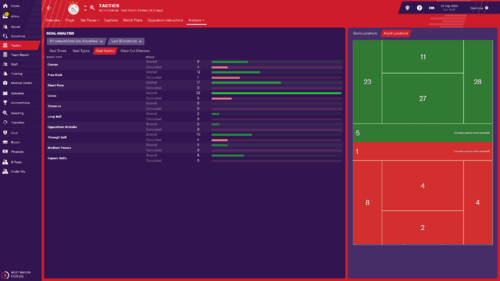 I have been playing FM 17 the last few weeks (I originally skipped that version), and it is far more balanced in turns of types of goals you see. as Mr Sloth says, fm numbers you quote are actually real numbers from 2013/14 season. furthermore, I am not sure how you got 0.83 for standard deviation. I get 2,98. Anyway, the real problem is that we lack data from FM. It would really be great if you could get stats from your tests to compare. I may be wrong on this, but I remember somebody here calculating above 30% for long shot goals in the latest ME. Then we have that guy above saying for him it is not that bad, and only 24%. The difference between 14-17% (real life) and 24% is already huge. When you go above 30% it is massive. I just don't understand how this difference can be considered 'tiny bit' by Neil. The only way is if they won't include all those goals scored from just outside the box (an annoyingly common goal in current ME) in long shots category. as @sporadicsmiles already mentioned, numbers need to be looked in context. Especially when there is low occurance of certain actions. i.e. long shot goals can vary drastically from season to season. so in, real we had Stoke City scoring 31% of their goals from long shots in 2013/14 season. This is way above Ajax 24% example from the game. I am no expert in stats but, from what I have gathered, it appears that anything between 8% and 20% of long shot goals fall under normal. Chance of scoring more than 23% of goals from long shots in a season is extremely low (0.13%). However, it happens even in real so the real question is, how frequently that happens in game. To really know, we would need more in game data for long shot goals. So, if anyone would be keen to compile this data, it would really help us understand how severe (if at all) this issue is. And have already given the answer. well, that isn't really exact answer. besides, there is some beauty in looking for answers instead of being provided. Not at all rude, it was clearly stated, I just kinda did not read the post properly. In my current save I sit at 23% of goals scored from outside the box, which is not out of whack with the numbers reported here. 27 out of 113 goals (including friendlies, leagues and cups). I suspect 4 or 5 of those are from free kicks. I also think some of them are right on the edge of the area. I did not really notice much about this being too much, though. High, but from such a small sample size, it is impossible to draw meaningful conclusions from this. Numbers only tell part of the story. Let's say you expect man utd to score 15 long shots over the course of the season... And IRL they hit 13 and in your FM season you hit 16. The numbers would make it seem spot on. Also need some qualitive data too... I. E of those 15 I'd expect majority to be scored from wingers cutting in or central attacking players finding a pocket of space. And I'd accept the odd one or two from random situation. You would not feel the situation is as realistic as the quantitive data suggested. Delve into further analysis and see the moment the player shot and the options he had available... Then you can see why this so called 'perception bias' shouldn't be written off quite so hastily just because the numbers don't quite back up the outcry. I tried to talk to my chairman to allow me to increase wage budget "because we might loose some key players" but he says he don't see it... WTH ? ! I need to loose some players and then he will see it ? 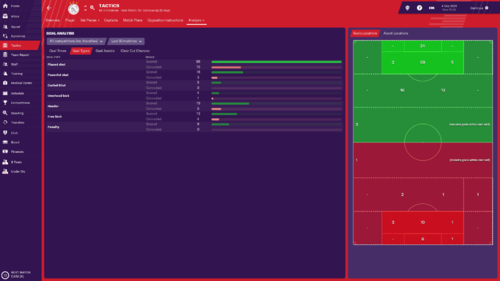 I could move money from transfer budget to wage budget but will it increase my wage budget permanently ? or just for short period and in next season the old limit will be set probably? 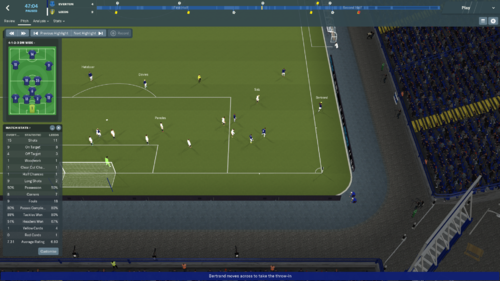 I've just lost 4-2 to Everton with all 4 goals coming from set pieces. In the aftermath I naturally examine the nature of these goals and assess whether my set piece instructions have contributed to my downfall. I have clearly allocated 2 players to stand on the edge of the area (the maximum allowed). This is a no-brainer considering this is by far the biggest threat in this year's release. Why are two players assigned to stand at the edge of the area (Saiz & Paredes) not in their instructed positions? Why do I have 6 players in the box marking 1 striker? Why is my back so ridiculously deep, given that there is no threat? Why are there two opposition players completely free on the edge of the box? Why, following this image, are 3 completely uncontested square passes made to Davies, who isn't closed down by anyone and smashes in a shot from distance? This game has become utterly exhausting. 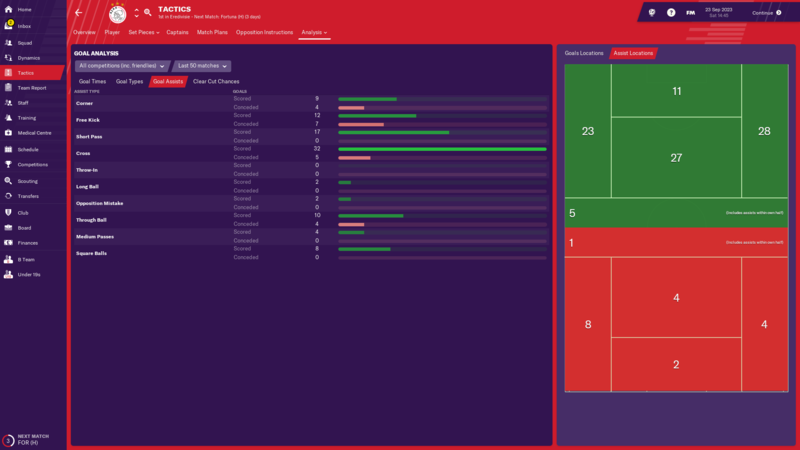 The match engine seems to completely disregard tactical instructions in order for it to show goals; which are frequently cheap and disconnected from the attributes of the players involved. By the way I profit from this too, and celebrate wildly when I do. Doesn't make it right though, or result in a high quality ME experience.